As I write this post, I’m playing air guitar – because Prague rocked! I had originally wanted to visit Prague back in 1999, but I was too lazy to obtain a visa. But in December 2007, the Czech Republic became part of the Schengen zone which meant that you no longer required a tourist visa to get into the country. After a lengthy and confused train ride from Bavaria in Southern Germany, we arrived in Prague. Our journey to the hostel led us through some sketchy alleys containing even more sketchy characters, but we eventually found our accommodations. We dropped our bags in the room and were back out the door in search of food. We didn’t have to walk far to get to a restaurant called Sklep, which had, in my opinion, the best food (and cheapest), on our whole trip. We all ate a ridiculous amount of food, paid the reasonable bill, and called it a night. We spent the entire next day exploring the old town, jewish quarter, and Prague castle and were blown away by the amount of history and beauty of the city. Below are a couple shots of our walkabout. 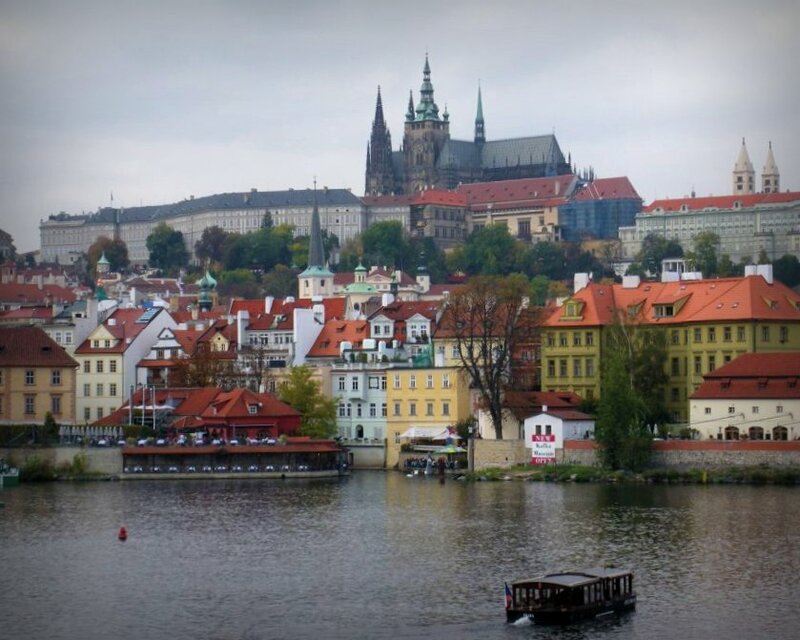 Below is a shot of the Lesser Quarter and Prague castle taken from across the Vltava River. The picture below is of the famous historic Charles Bridge which was built in the mid-1300s and finished at the beginning of the 15th century. 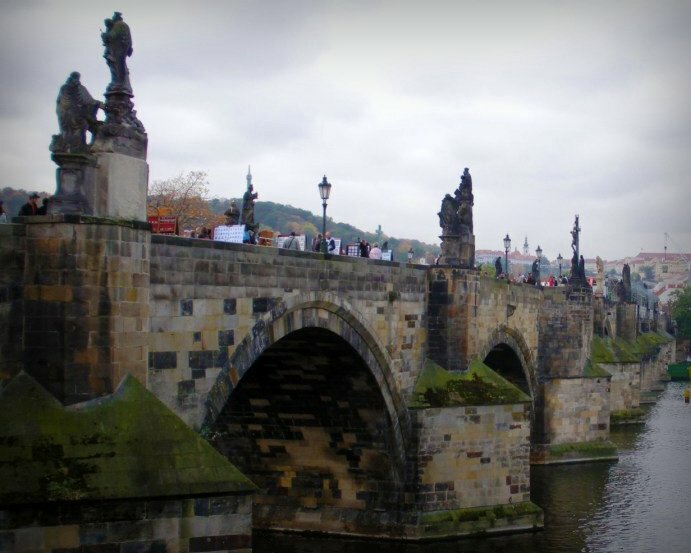 This bridge was the only means of crossing the river until 1841 and the most important connection between Prague Castle and the Old Town. 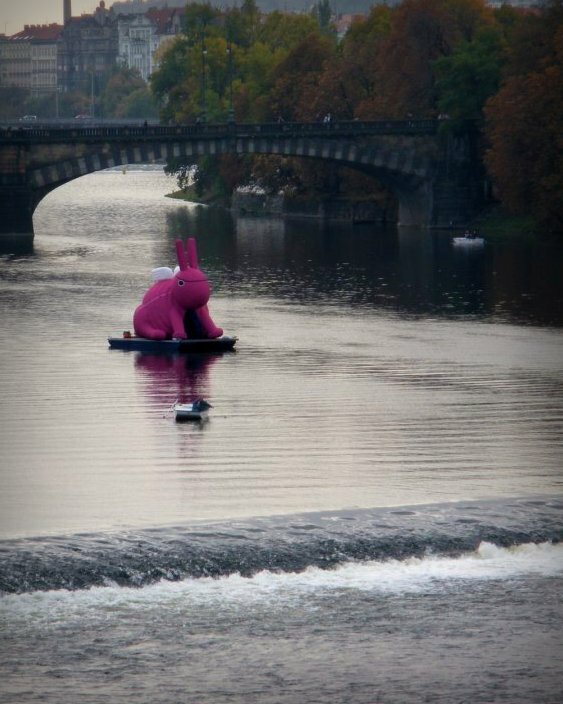 This next photo is of a gigantic purple bunny floating down the river towards a small waterfall. I’d love to explain further, but I’m as perplexed as you. This final picture is one that I’ve shown before in a previous post. 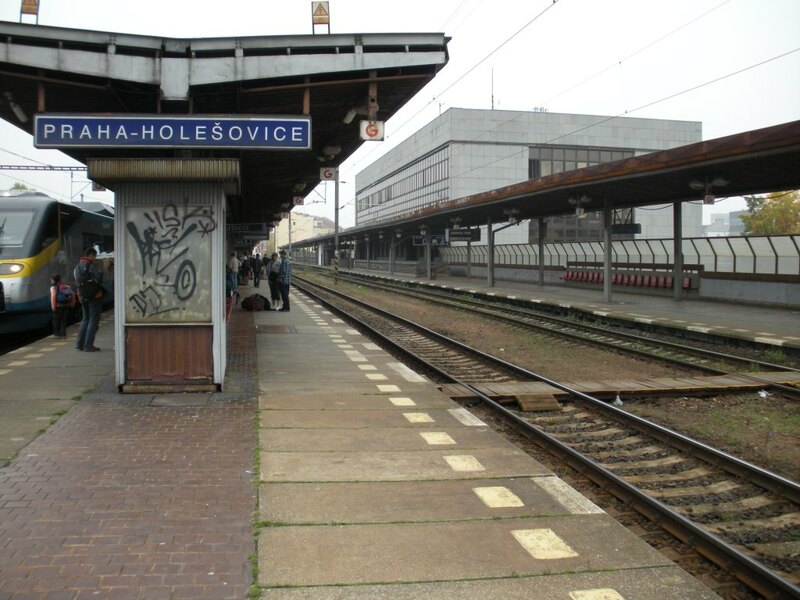 It’s of one of the cities train stations where we were awaiting our train to Vienna. Some great shots here man. Something about the tonal quality of these photos – I don’t know if it’s the camera or just Europe, but it has a great feel to it. These pictures look like memories. Love the first shot – it has a great balance of foreground, mid-ground, and background. Thanks Mike. Funny you mention the tonal quality, because I was messing around in Picnik trying to get an old school look. When I went to Europe in 99, I had a $15 film camera and it produced similar looking, as you call it “memory” type photos. I was trying to recreate that look here… especially with the first one. Good job on picking that up.